If there is a legacy that the fifth President of Zambia, Michael Chilufya Sata will always be associated with, it was his focus on the practical things of life. That’s why he earned himself the reputation of “man of action”. Whether in government or outside government, his mode of operation was always the same – getting things done. It would not be surprising when historians sit down to write the story of his life that this aspect will be accorded its proper place. In the opposition, he stung like a cobra, his nickname, but at the same time sat down with his opponents in a charm offensive that is yet to be replicated in Zambian politics. This he did to demonstrate to all of us that politics need not kill the spirit of Ubuntu that holds humanity together. In my book, Against All Odds, President Edgar Chagwa Lungu’s Rough Journey to State House, I simply described President Sata as a man with a big heart but one who refused to give up. No matter how strongly he disagreed with anyone, his personality was still strong enough to look his fiercest opponent in the eye, smile, joke and embrace to the amusement of a nation that watched his every move with admiration. He lost Presidential bids a couple of times, occasionally becoming angry but never allowed negative energy to define him. 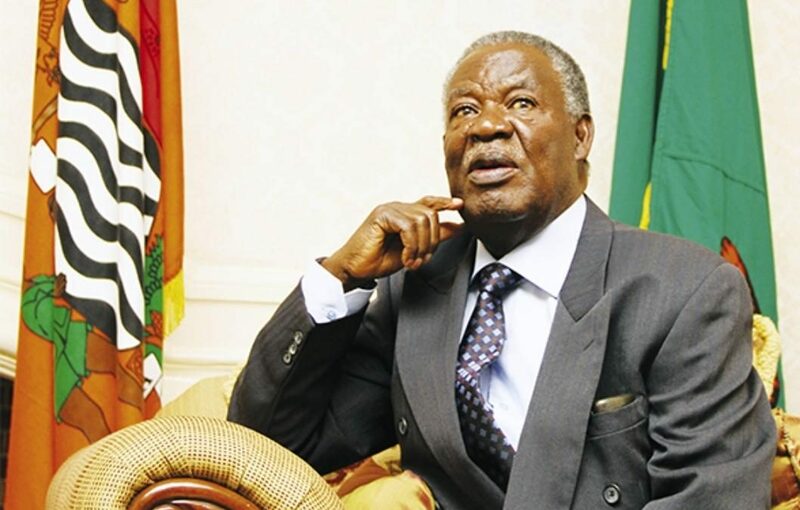 He knew where to channel his energies – in his engagement with the Zambian people humble in the knowledge that only them would eventually determine his political fate. And in 2011 they did exactly that when they finally handed him victory allowing him to go down the country’s history as the fifth President of Zambia. The nation was ecstatic, the third time in history (the first at independence and the second when a movement called MMD, the Movement for Multiparty Democracy, ended 27years of the Kaunda rule) when Zambians were unanimous on the need to change government. In office, his reputation for practicality went on full display as he caused to be put in action one of the most ambitious infrastructure development programs ever known in the country’s history. The program was necessary as the country’s infrastructure was crumbling and could therefore not support any meaningful investment. However, textbook economics disagreed. They had never ever seen anything like this. But the man of action would not back down clearly convinced that what he had started could come to fruition. He went to the grave with his determination and conviction. The Party he formed, the Patriotic Front, PF, luckily believed him and supported him. His successor, now sixth President of Zambia, Edgar Chagwa Lungu believed him vowing during his campaign for the Presidency not to veer off the course of his predecessor’s vision. This vision is evident in every part of Zambia: roads now crisscross every inch of this 753,000 square kilometer territory supporting trade and economic expansion; health facilities along with modern medical technologies are continually introduced with lives of mothers and babies saved every day and every year. The development trajectory initiated by President Sata is irreversible. Upon the foundation he laid down, Zambia is today building a culture that promises to become the bedrock of future development programs. On this day, the 28th of October 2018, we shall always be reminded of a special gift God gave to Zambia, a man who demonstrated that wisdom and not just textbook knowledge on development is needed to successfully preside over public affairs. Thank you Lord for the gift in the name of Michael Chilufya Sata.